Real estate tactics evolve over time. For example, decades ago, attaching a clear box with info sheets to a “For Sale” sign was revolutionary. Today, it’s standard. 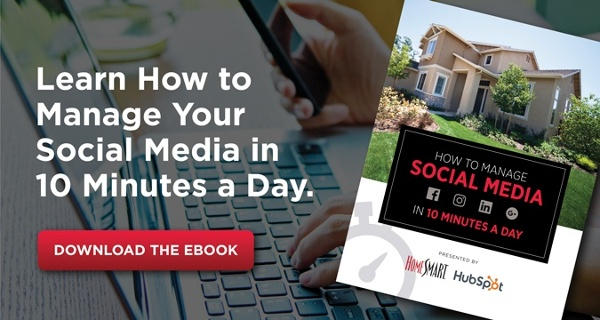 Using social media to promote listings is a smart strategy that has become an automatic step—another basic—for many agents. Expand on this tactic by consistently posting things to your social media accounts that aren’t listing-related. Take advantage of Instagram Stories to post short videos from an open house. Upload YouTube videos of you showing off neighborhoods or offering homeowner tips. Start conversations on Facebook. Retweet interesting posts on Twitter. If you are active on social media, leads and followers will look forward to your content and share it with others, even if they don’t currently need your services. Even with the highly digital real estate strategies that have emerged over the last decade, nothing can replace meeting people, following up with leads, and face-to-face interaction. Take time to prioritize nurturing relationships with clients and potential clients and expanding your sphere of influence. Tried-and-true tactics such as open houses and handing out business cards still are essential to creating positive impressions and growing your business. . Cutting costs doesn’t mean cutting back, but rather being efficient with your time and budget. For example, do you hire a landscaping company to mow the lawn on the listing or save the money and do it yourself? Or do you hire a neighborhood kid to mow, thus not spending as much while freeing yourself from busywork? Carefully assess which services and equipment you should pay others to do, which are best handled on your own, and how you can save money with either decision. That said, one way to rein in costs is to consider switching to a brokerage that offers a flat-fee model and a host of free resources that you otherwise would be paying for out of pocket. Saving money on the front end makes budget decisions later much easier. Good brokerages offer their agents tools and technologies to help with marketing, management, transactions, and more. Yet some agents don’t take advantage of these resources, many of which are innovations designed to make your life easier. Your usual way of getting things done may work well, but don’t dismiss new tools designed to streamline your business and help your customers. Many brokerages also offer free training to teach you how to use these innovations. Strive to be more than just a technically great real estate agent who closes deals and serves clients well. Take the next step by further establishing yourself in the community. As already mentioned, interacting on social media is a great way to build your profile and show that you care about something beyond commissions. Host events at your office, such as pictures with Santa or clothing drives. Sponsor a Little League baseball team. Mentor other agents in your office. Make yourself more visible so that clients and colleagues will want to connect with you. Setting yourself apart and going beyond the basics are great strategies not only for 2019, but also for the next decade.